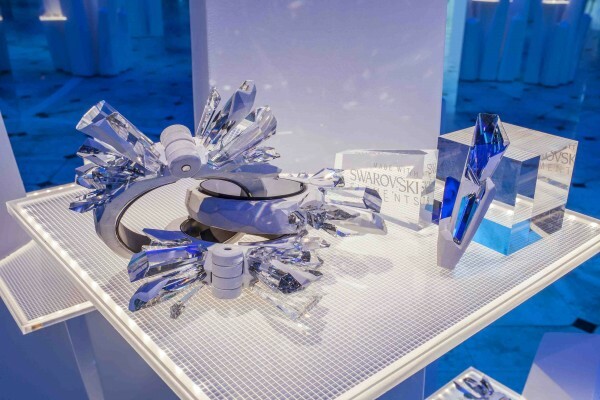 A striking new crystal cut has made a stunning début: Swarovski has teamed up with high-end, haute couture collective, Maison Martin Margiela, to launch a new type of crystal technology—the groundbreaking Crystalactite. 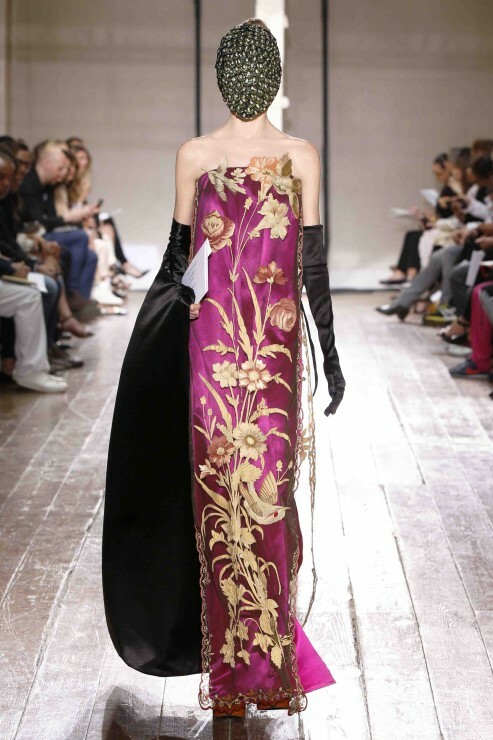 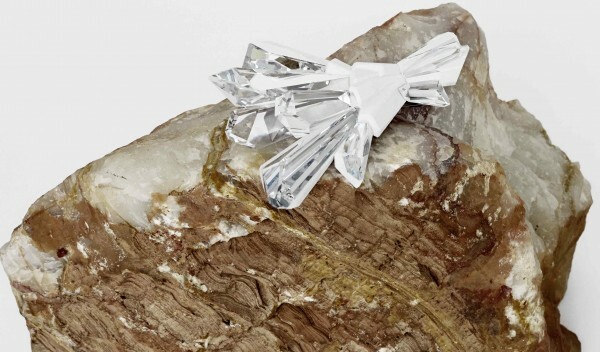 In the beginning of July during the Haute Couture week in Paris, in the chic Espace Yves Toudic, five as-yet-unseen, state-of-the-art crystal jewelry and accessories pieces, each featuring the new Crystalactite fusion technology, took center-stage at Maison Martin Margiela’s eagerly awaited Couture Show, entitled ‘Artisanal’. 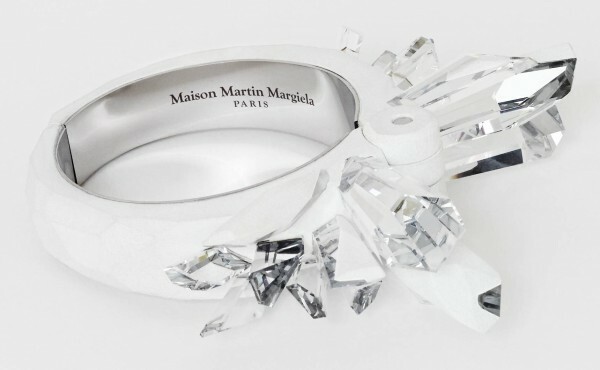 What makes the Maison Martin Margiela Crystalactite for Swarovski totally unique is the fact that it is made using the pioneering Crystal Fusion technique, by which crystal is merged with matt white resin before it is cut, making gluing unnecessary. 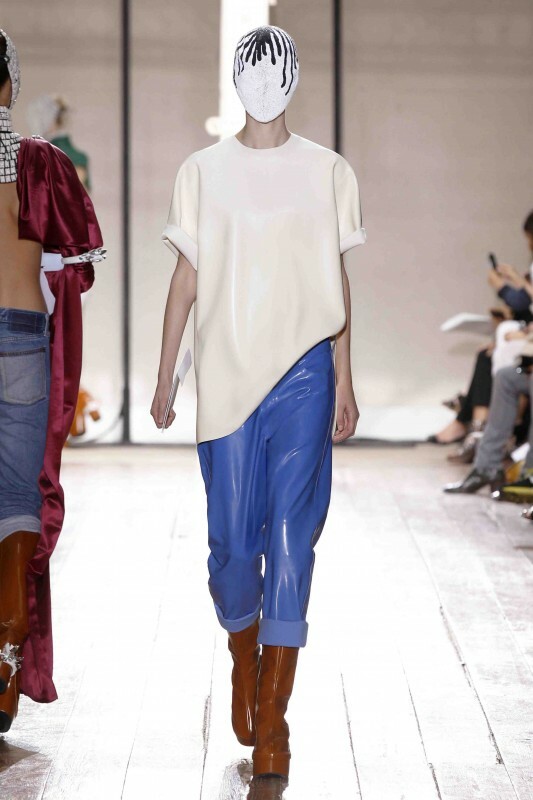 This is unprecedented, and the result is startlingly futuristic—an avant-garde and asymmetric beauty, inspired by the shape and structure of stalactites. 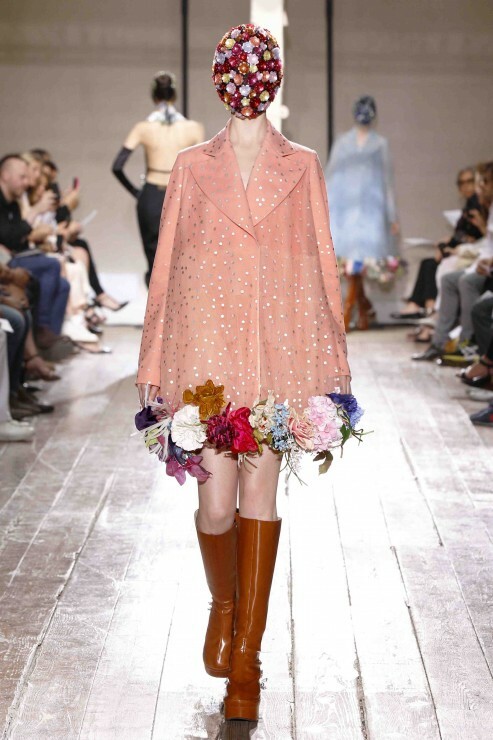 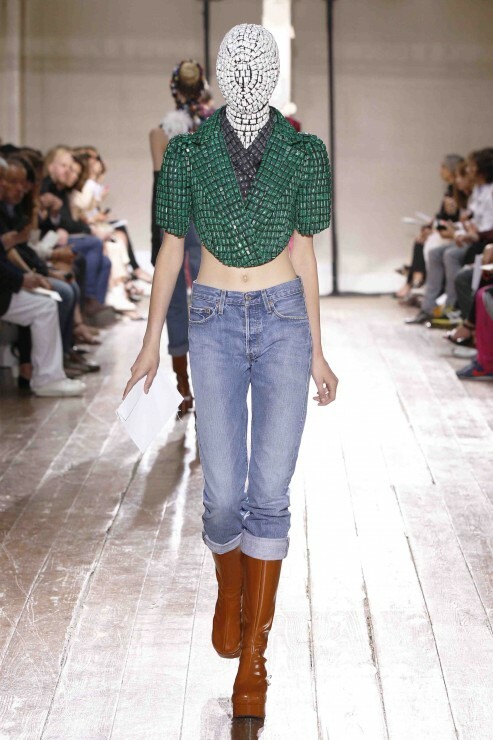 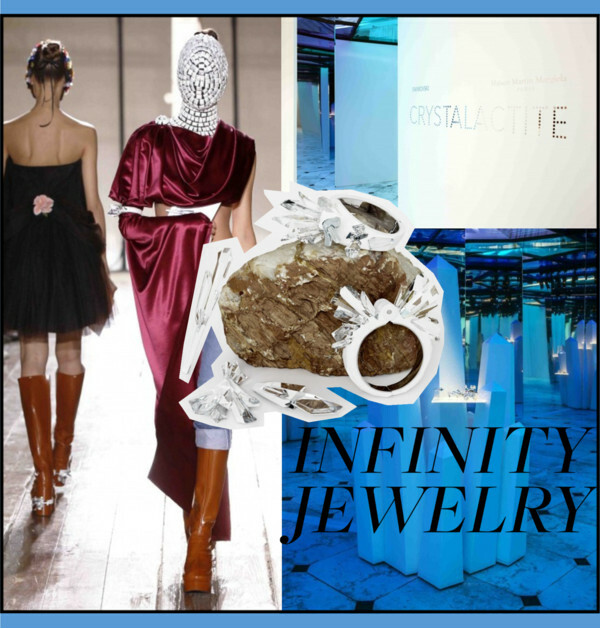 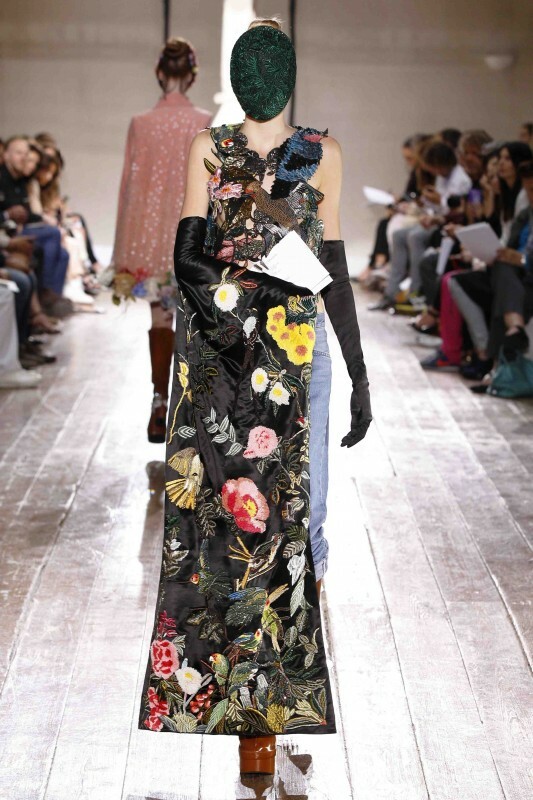 Maison Martin Margiela showed how the five Crystalactite Haute Couture jewelry pieces can be turned into amazingly versatile accessories. 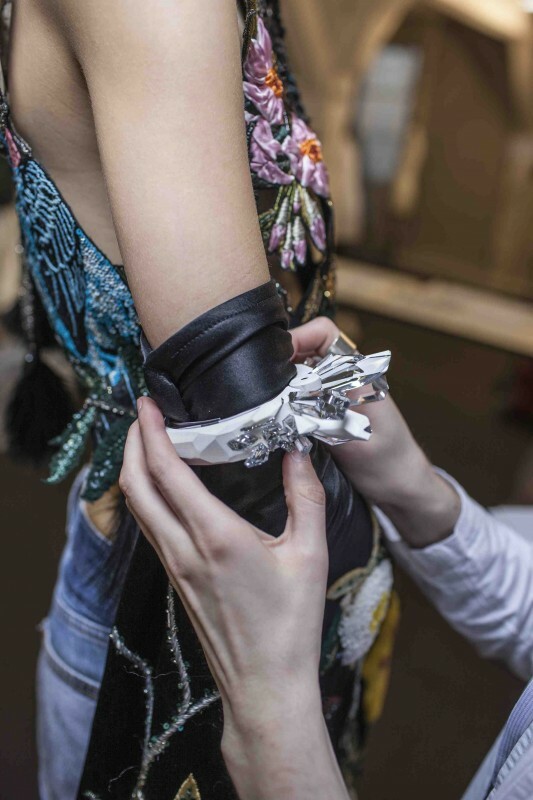 A specially integrated clip mechanism enables them to be worn on the hair, clothing, or footwear, giving an eclectic, cutting-edge look that is way ahead of its time. 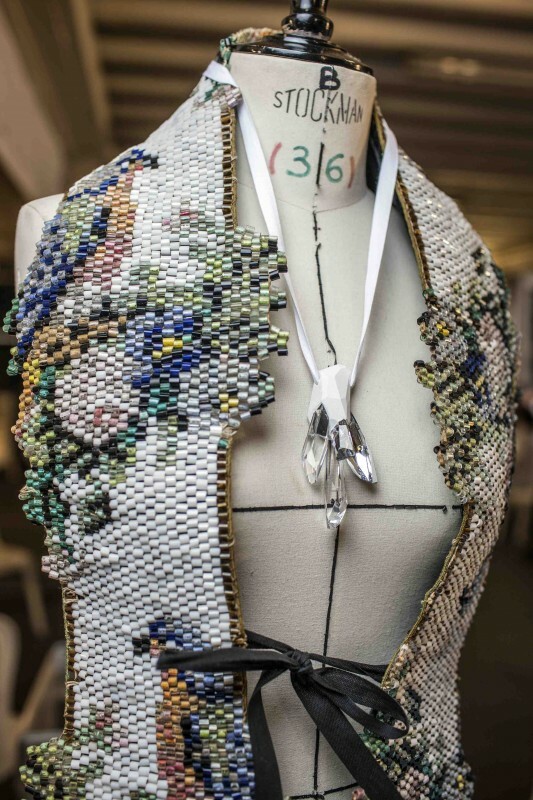 I have been so thrilled to discover that there is to be a Maison Martin Margiela Crystalactite for Atelier Swarovski collection based on the Haute Couture pieces. 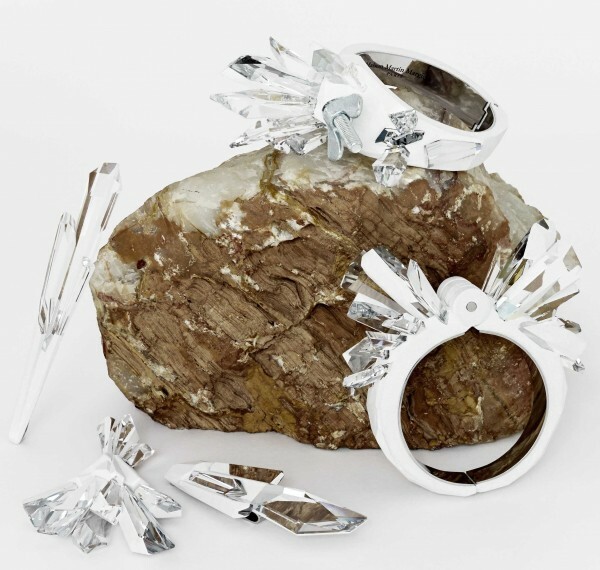 It will consist of a stunning pendant, ring, and bracelet, each displaying Maison Martin Margiela’s signature clean-lined asymmetry, lit up with Swarovski’s famous sparkle. 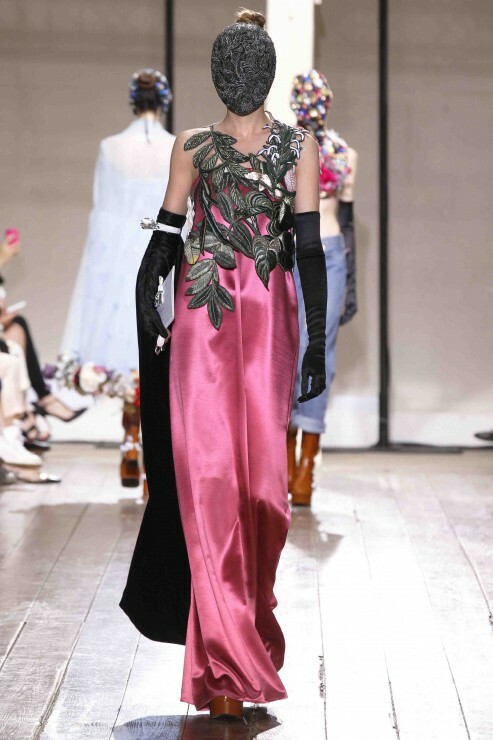 Even better, it will be available for Christmas 2013.